The fact that Nintendo's systems are the only major platforms to miss out on Minecraft is well-documented and often discussed, though there have been other developers tossing their hats into the ring on the big N's hardware. The latest to do so on the Wii U is Cypronia, which has announced Cube Life: Island Survival for the eShop. This entry will have two main modes. Survival Mode places you in a world with a series of islands and you have to explore and craft to survive; rather like in Minecraft you'll also have to defend yourself when night falls. Cypronia is keen to emphasize that it's aiming for "a living world with wild animals on the land, lurking in caves, swimming under the water, or even flying in the sky", while boasting of over 200 items to craft. The second mode is Creative Mode, which as you'd expect simply allows you to construct designs in an editor, while there are plans for this to support online sharing. In details given to us Cypronia states that it'll provide "several updates for all of 2015 and possibly more", to improve the game based on consumer feedback - the developer cites Miiverse, Facebook, Twitter and the Nintendo Life forums as community areas that'll be followed closely. 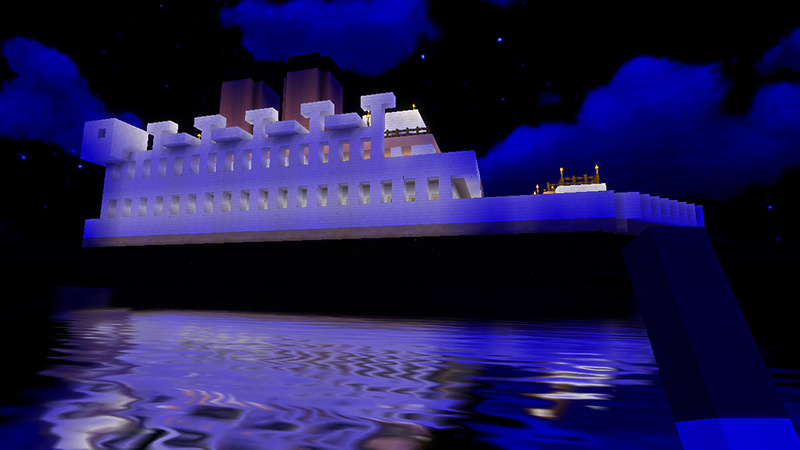 It's also keen to distance itself - like similar projects on Nintendo systems - from being considered a Minecraft clone. Our goal is create the best block building open-world sandbox game for Nintendo platforms. PC, Xbox, Playstation, and even smartphones, all have Minecraft. Nintendo players deserve to have something truly special, too—to have their own game. We can get inspired by the best ideas from the existing competition, but we really want to go our own way… In the same way Nintendo makes their own path. With release due in Q2 we can expect more details soon, as this joins others in trying to emulate the iconic block-building game on Wii U. Cypronia's track record is mixed, as we've been highly critical of some of its earlier releases but had praise for the recent ports of Color Zen. 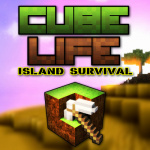 What do you think of this announcement of Cube Life: Island Survival? Let us know in the comments. just like the last one, no thanks. What's with the arm in the first screenshot? It doesn't look particularly interesting for me. I would have to see how this differs from other sandbox games of the same style. Online play... controls... variety... If it receives a good review, then I might consider it. If it isn't broken I'll give it a shot. some of those items look like there from a minecraft texture pack. Please don't support the stealing of ideas people. Just play minecraft elsewhere. Man look at the ending of the site. "Anyway, we will not disappoint the Nintendo community like the UCraft developers did. Every decision we make and every new feature we plan to include, we will consult with Nintendo directly to avoid a big mess and empty promises to our players. We know how to provide updates, we know the Wii U and the eShop limits, and we know what is possible to do. UCraft developers prefer to blame Nintendo for its policies, but we think this is more about their inexperience rather than Nintendo's policies. Nintendo has created great hardware and has provided perfect support for their developers and we will not make similar mistakes"
The axe and the pickaxe are straight from MC, aren't they? I haven't played Mincraft for a while, but those icons for the pickaxe and axe look like pixel perfect copies. 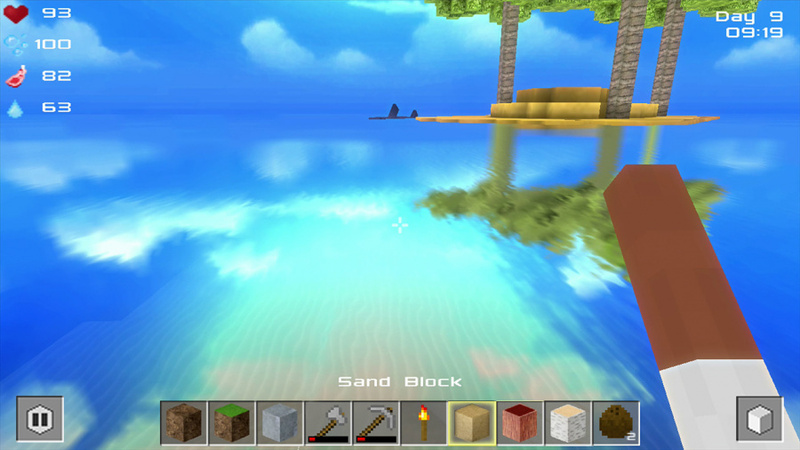 @Fidu I was wondering that too...they do look like the actual graphics from Minecraft. Hopefully it's a placeholder. What is the issue with bringing MineCraft to Nintendo platforms? My son loves it, and I'll admit it can be quite engrossing. It's got to be Minecraft though, no imitations are accepted. Personally I was never too impressed with Minecraft in the first place. Its only draw for me was that it was an addictive multi-player sandbox. If someone wants to try and improve upon that or make a better variation, I say more power to them. I'm not buying an Xbox/One/PS3/PS4 just to play Minecraft and I hate playing it on PC so. I'll watch this one with interest. On a side note: I appreciate this developer recognizing that Nintendo fans really want this type of game on Wii U, and their forward thinking. I think it'd be cool on New 3DS too, if it does well on Wii U.
Oh god what is this? This is from the same studio that made Angry Bunnies and Cake Ninja. I wonder when they'll ever have an original idea? Well, I already have Battleminer, so i'm not in a rush to get another clone, but i'll see just how close it gets. Battleminer, despite looking like and playing like Minecraft, is no Minecraft at all, but the combat was fun. I can't stand MC or MC clones. NOOOOO THAAANNNKKKSSS. Where there's no Minecraft, there's money to be.....er dug. @Prof_Clayton Lol yep. Pretty ballsy to call them out directly i guess. I'm willing to give these clones a shot. A lot of the time, I end up enjoying them to some degree. Yeah, I completely lost interest in Minecraft a long time ago, so i really don't care for this. @Patchouli: Cypronia brought us Color Zen by Large Animal which is original. And a pretty good puzzler. I didn't found Angry Bunnies, Cake Ninja, and My Style Studio appealing, but this one looks quite good. Better than the other Minecraft-like games I've seen in development for Wii U. @Prof_Clayton That is very unprofessional of them! I'm curious, this could be fun. Any words about multiplayer? A local multiplayer mode would be fun. Can't be any worse than Battleminer.